Different kinds of legal cases have different time limitations imposed so it's important that you seek legal advice quickly to find out if you can commence legal proceedings. Prior to court proceedings being commenced, the first course of action is always to seek a resolution to the dispute, saving both time and money. There are a number of alternative dispute resolution methods which can be used including round table negotiation, conflict mediation, conciliation, and arbitration. 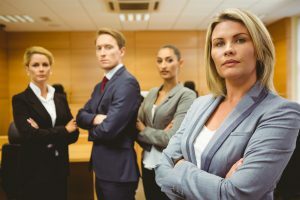 Dispute resolution lawyers can assist with this process. If all attempts to settle the dispute fail then the dispute will be taken to trial. Trial proceedings are lengthy and somewhat complex. The particular court forms which need to be completed to commence a civil suit vary according to the type of dispute so its best to seek legal advice in regard to this. Contact us for more specific advice from an experienced litigation solicitor about how we can assist you settle your dispute. Dominic & Co Solicitors Ltd offer services in Personal Injury Law (Compensation from Medical Negligence, Dental Negligence, Work Accidents, Road Traffic Accident, Food Poisoning, Slips,trips & Fall Injuries and Psychological Injuries), Conveyancing and Property Law, Immigration Law, Contract Disputes and Litigation, Business and Commercial law, Wills and Probate .